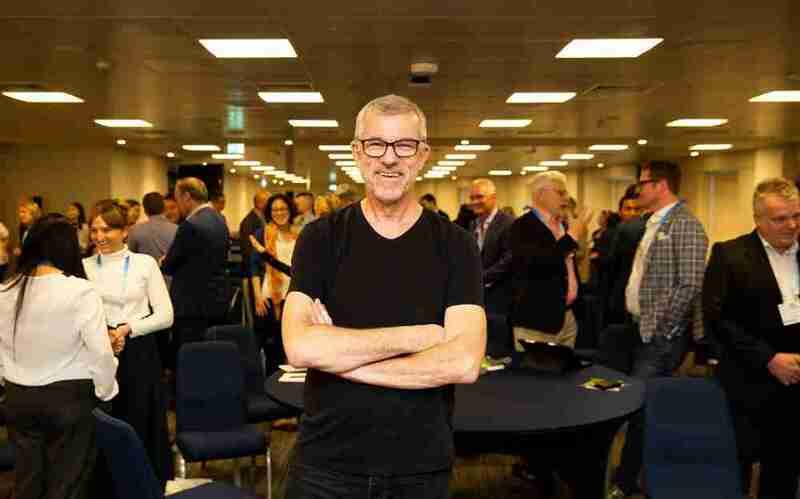 David Beckett – Pitch Coach is an international Pitch Coach, who has spoken at numerous events and conferences around the world, delivering interactive keynotes on pitching. David has trained over 850 Startups to win over €210 Million in investment, working with Accelerators such as Startupbootcamp, ThinkAccelerate, MassChallenge and Rockstart. He’s also trained more than 12,000 people at companies such as Booking.com, Tommy Hilfiger, ING, PwC, Google and IKEA in 27 countries. David is the creator of The Pitch Canvas©, and the author of the book Pitch To Win. He brings all of that experience to all kinds of industries from Tourism and Congresses sales, to Jewelry, Furniture and Banking. David began his work life at Canon, where he worked his way up from marketing Assistant to Country Director across a 16 year career. He left the corporate world in 2009, and write a book about Amsterdam. In the following four years, he had five jobs, and was fired from two. This drove him to re-assess his true passion, combining presentation and coaching, and David quickly got connected to the Startup world. He discovered that helping pitchers deal with time pressure fitted him perfectly. He focused ruthlessly on finding ways to help startups and innovators to deliver their message successfully in just a few minutes, and to get the funding and resources they need. David’s workshops are all about practical tools that you can put into action during the workshop, and in the weeks and months after the workshop. Included are a selection of printed and digital materials, including 3 x Pitch Tip Cards; a free App with videos of pitch tips and real pitches; and a short online course as a lifetime resource of the tools and exercises shares in the workshop. In this practical, active workshop, David will share the steps and tools to prepare for your winning pitch. You’ll get guidance on how to build your storyline creatively, how to make your message understandable and memorable, and how to open and close powerfully. Afterwards, you’ll receive a selection of materials and access to an App that will help you deliver your best pitches ever. David offers his half day pitch workshop together with an additional half day of 1:1 coaching sessions for a maximum of 8 people. Any number can join the morning sessions, and a limited number for the afternoon 1:1 training, where David assesses what the needs are of individuals and provides specific advice and tools for the individual to take big steps forward run the quality of their pitches.